5444 E. Golden Hill Rd. We now carry lady bugs, praying mantis and earthworms. Celebrating 35 Years of Serving Gila County and Surrounding Areas! 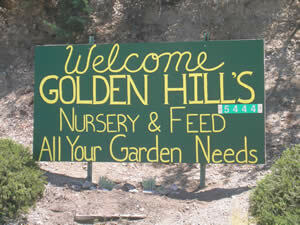 Golden Hills Nursery & Feed has served as Globe-Miami’s source for backyard farming for more than three decades. 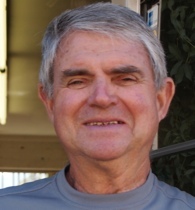 Owner Mike Shirley is an Arizona certified nurseryman and seasoned horticulturist. He helps customers not only choose the best plants for your landscaping needs, but also assists with caring for those plants long after they are purchased. Arizona’s climate can be hard on plants, but you can count on the flowers, trees, shrubs and animals you purchase at Golden Hills Nursery & Feed being the very best. Mike takes great pride in offering customers top quality inventory. You won’t find this kind of dedication to quality anywhere else in town. The inventory at Golden Hills Nursery & Feed is unmatched in the Globe-Miami area. With dozens of varieties of fruit trees and hundreds of flowering plants and shrubs on hand, you can count on finding exactly what you need to complete your landscaping. Mike is continually updating his inventory and offers seasonal specials. These include everything from living Christmas trees to bare root trees!